Our galaxy could have 100 billion brown dwarfs or more, according to work by an international team of astronomers, led by Koraljka Muzic from the University of Lisbon and Aleks Scholz from the University of St Andrews. Scholz presented their survey of dense star clusters, where brown dwarfs are abundant, at the National Astronomy Meeting at the University of Hull. Brown dwarfs are objects intermediate in mass between stars and planets, with masses too low to sustain stable hydrogen fusion in their core, the hallmark of stars like the Sun. After the initial discovery of brown dwarfs in 1995, scientists quickly realized that they are a natural by-product of processes that primarily lead to the formation of stars and planets. RCW 38 is 5500 light years away, meaning that the brown dwarfs are both faint, and hard to pick out next to the brighter stars. To get a clear image, Scholz, Muzic and their collaborators used the NACO adaptive optics camera on the European Southern Observatory's Very Large Telescope, observing the cluster for a total of almost 3 hours, and combining this with earlier work. The researchers found just as many brown dwarfs in RCW 38 – about half as many as there are stars- and realized that the environment where the stars form, whether stars are more or less massive, tightly packed or less crowded, has only a small effect on how brown dwarfs form. From the SONYC survey, Scholz and Muzic estimate that our galaxy, the Milky Way, has a minimum of between 25 and 100 billion brown dwarfs. 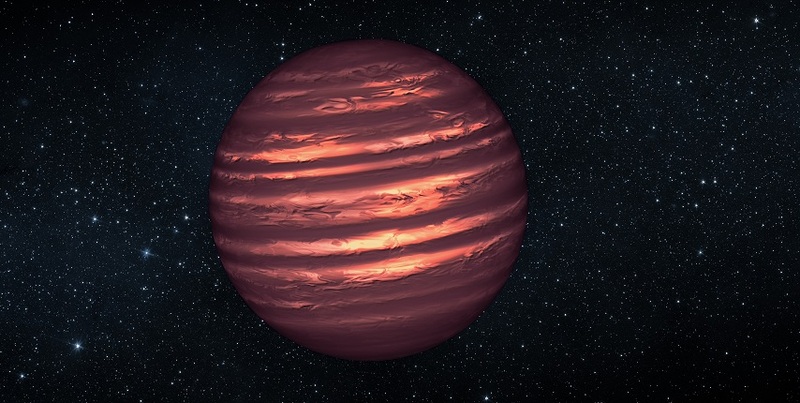 There are many smaller, fainter brown dwarfs too, so this could be a significant underestimate, and the survey confirms these dim objects are ubiquitous.